'Those who eat Riba will not stand (on the Day of Resurrection) except like the standing of a person beaten by Shaitan leading him to insanity. 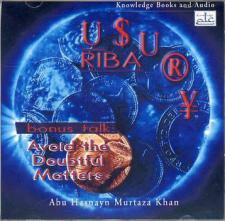 That is because they say: "Trading is only like Riba", whereas Allah has permitted trading and forbidden Riba.' (al-Baqarah:275)Abu Hasnayn highlights the grave sin of Riba and explains the consequences for those involved in Riba transactions.